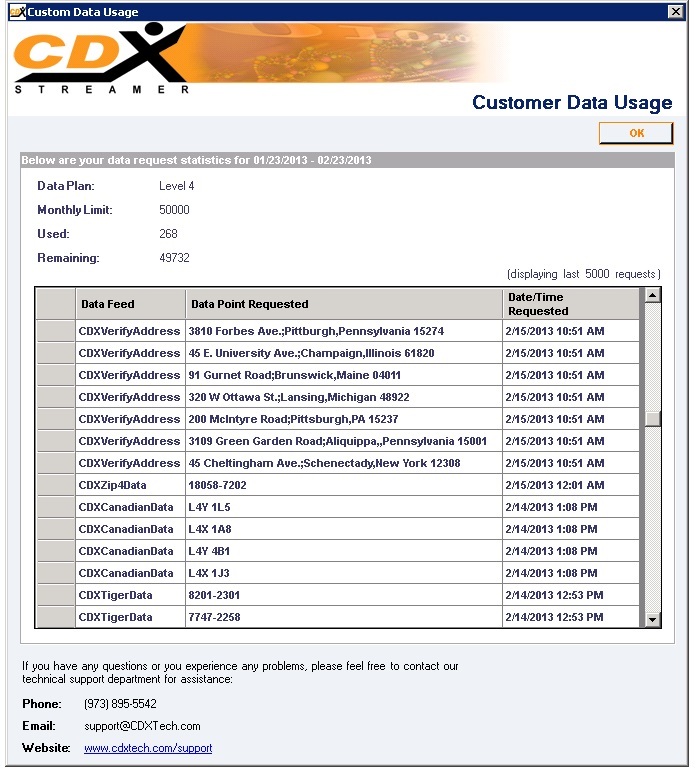 If you would like to modify your data plan, login to your account on the CDX Technologies website at www.cdxtech.com. The username (usually your email address) and password were provided by email when you originally subscribed to CDXStreamer. From here you can manage your account and make changes to your data plan as desired.